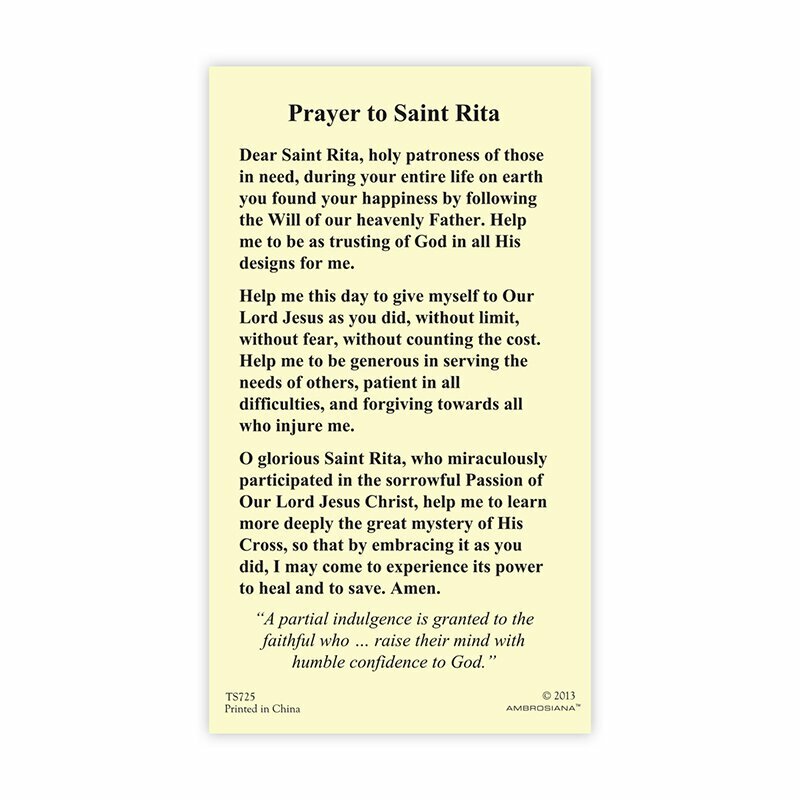 Dear Saint Rita, holy patroness of those in need, during your entire life on earth you found your happiness by following the Will of our heavenly Father. Help me to be as trusting of God in all His designs for me. Help me this day to give myself to Our Lord Jesus as you did, without limit, without fear, without counting the cost. Help me to be generous in serving the needs of others, patient in all difficulties, and forgiving towards all who injure me. 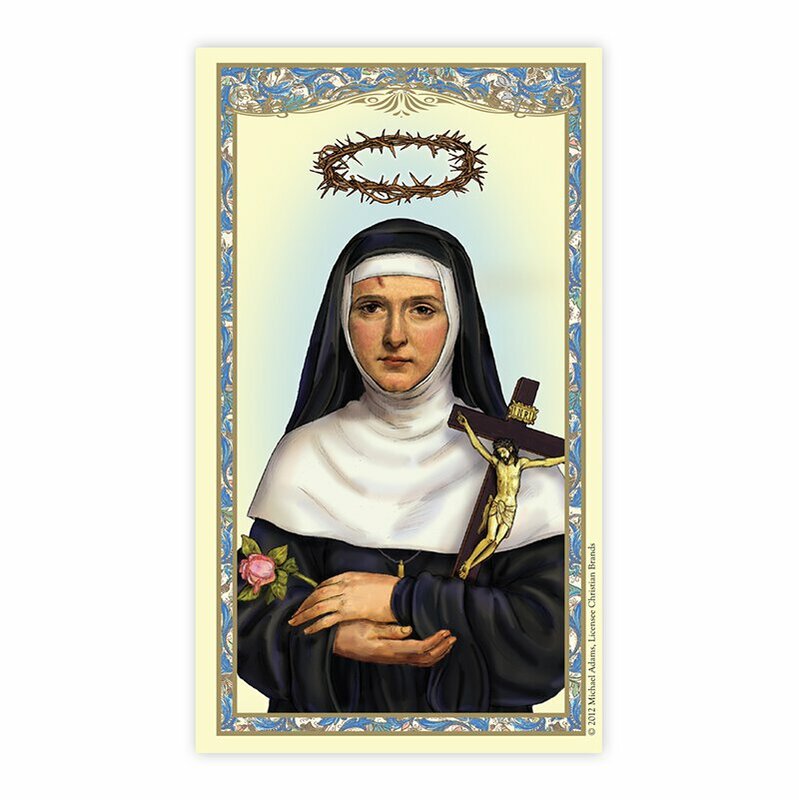 O glorious Saint Rita, who miraculously participated in the sorrowful Passion of Our Lord Jesus Christ, help me to learn more deeply the great mystery of His Cross, so that by embracing it as you did, I may come to experience its power to heal and to save. Amen.